It might seem like a contradictory title, but in truth each personality time possess qualities which are introverted and extroverted. No one can be all on one side, or else they wouldn’t function like a very healthy human being. Some extroverted types can display as rather introverted, and this can make it difficult to type them sometimes. While ENTPs can be very extroverted when they are around others, they certainly have behaviors which make them appear much more like an introvert. People are far more complex than the simplest form of their personalities, and so there are reasons why exploring the introversion in an extroverted type, is actually rather valuable. This is something that can be especially important to discuss when it comes to the ENTP. So here are a few things you should know about the introvert ENTP. ENTPs need a lot of space and are highly independent people, which is often a trait found in introverts. While they do enjoy being around people and will gain energy from interacting, they still need a lot of time to themselves. ENTPs seem to need more time to themselves than many other extroverts do, since they require a sense of independence. They don’t like feeling smothered and really need to feel some sort of freedom to make their own choices. Without having some sort of room to do their own things, the ENTP becomes truly trapped and overwhelmed. This can be confusing for some people who see them as extroverts, since the ENTP really doesn’t require constant interaction. They really enjoy being around people, but there are times when they simply need to be on their own. If the ENTP is being smothered by someone, they will be better off alone than in their company. They don’t do well having to constantly deal with clingy or emotionally needy people. They might be extroverts, but they are still independent individuals who don’t mind some space and time to themselves. While ENTPs do become antsy if they cannot interact with others and spend time sharing valuable conversation, shallow interactions are somewhat draining for them. People who don’t provide much value to the discussion and only want to talk about boring things, can leave the ENTP feeling more drained than being alone for long periods of time. They do need some sort of social interacting, but they need it to be something that actually feels rewarding for them. Often the ENTP thrives on debates with people who can keep up and actually provide interesting topics and ideas. So while they are extroverts, not just any conversation or social interaction will do. The ENTP needs fulfilling and in depth conversations, and discussions which can stimulate their minds. They become bored rather quickly, and so they need a little more than the simple and shallow things in life. The fact that certain conversations can actually sap their energy, is much different than most extroverts and is often seen as a much more introverted trait. Nonetheless, the ENTP still possesses a need for much more complex and stimulating discussions. ENTPs might express certain things in an extroverted and outward manner, but at the same time their thinking process is very internal. ENTPs use their rich inner worlds to process information and so sometimes this process requires time to themselves to think. They enjoy taking everything in from the outside world, and make patterns in a way that is often very external. At the same time ENTPs do need some time to themselves in order to fully process everything and think it through in a way that others might struggle to really understand. Their inner worlds is still a rather rich and vivid place, even if they are capable of pulling out of it long enough to pay attention to others. ENTPs can sometimes appear more introverted when they are spending time processing information and working towards different conclusions inside of their minds. They do have wonderful imaginations and rather intense inner worlds, which they try to share with people sometimes. For most people the ENTPs extroversion can be obvious, but when they learn more about the ENTP it can actually appear a bit different. Seeing there many sides can make them a bit harder to peg down than simply the way they behave in social settings. While they are considered extroverts, it is far more complex for some types than this. ENTPs dominant functions deal with patterns in a way that makes them connect to the world and reach out for new experiences. They love diving into different subjects and settings, and can be extremely outgoing people. At the same time ENTPs can become drained by certain interactions and things that bore them. They also don’t require constant and direct social interaction in order to truly feel energized. All they need is an outlet for new ideas and the means to share these thoughts with someone else. This doesn’t always mean getting into social gatherings, and can sometimes be provided with internet forums or simply through a phone call. ENTPs can spend prolonged periods of time inside of their own thoughts, and might become completely distracted from the outside world. When they have gathered enough information and ideas in order to really dive into something, they might seem to disappear and go into their own thoughts for a while. This is something that certainly makes the ENTP a much more introverted version of the extroverted personality types. This is certainly something that makes them complex people, and sometimes difficult for others to really peg down. 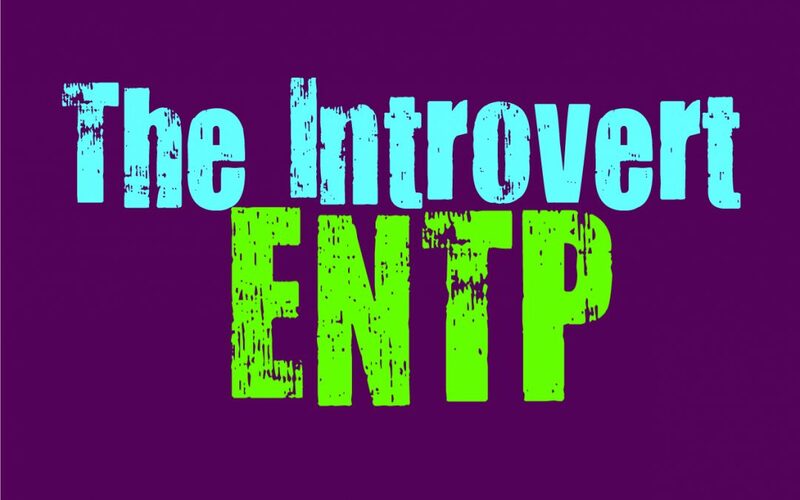 The more a person gets to know the ENTP, the more they will see their introverted qualities.